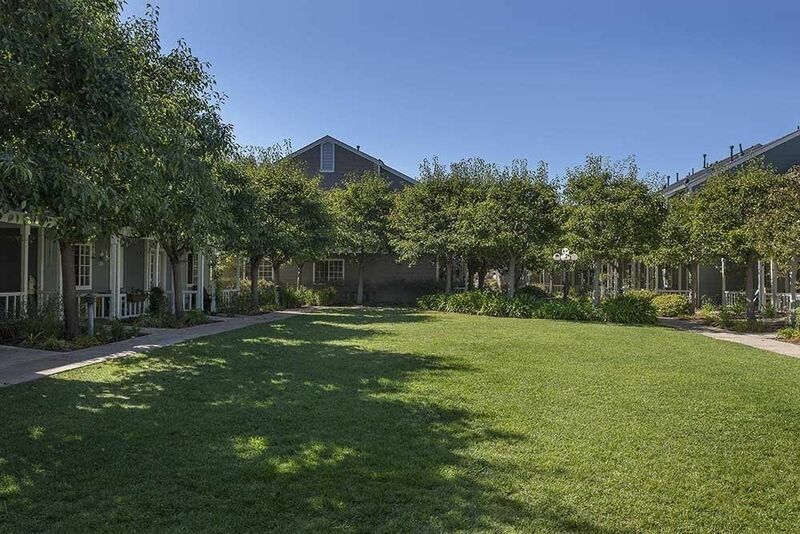 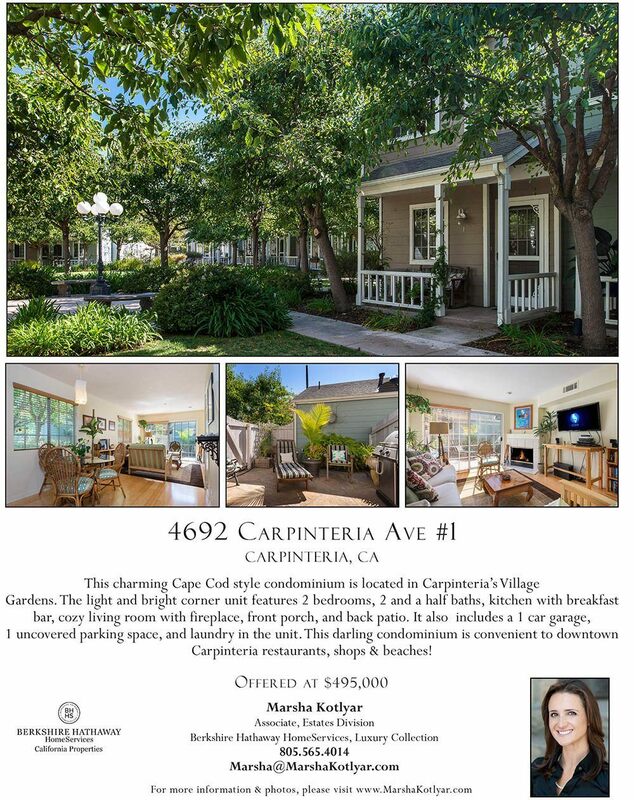 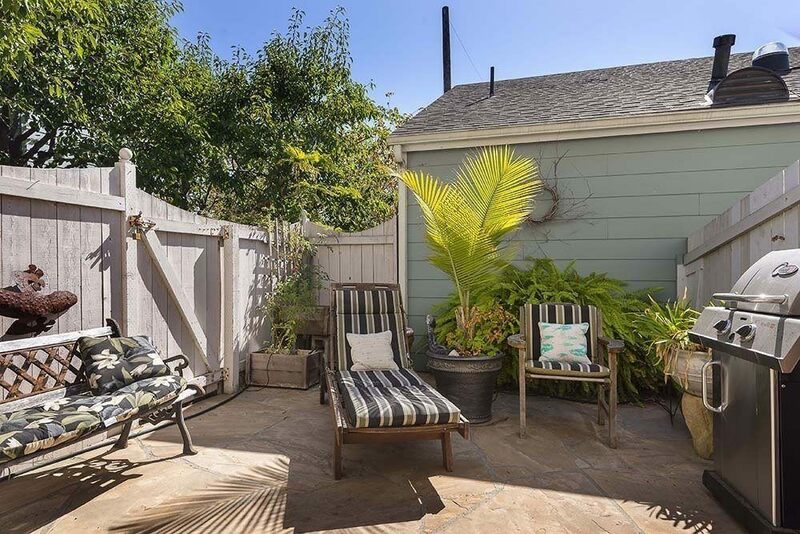 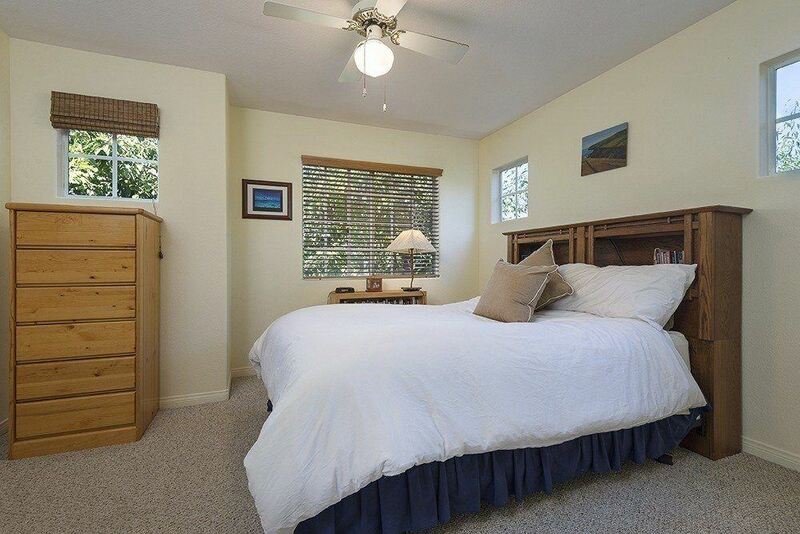 This charming Cape Cod style condominium is located in Carpinteria’s Village Gardens. 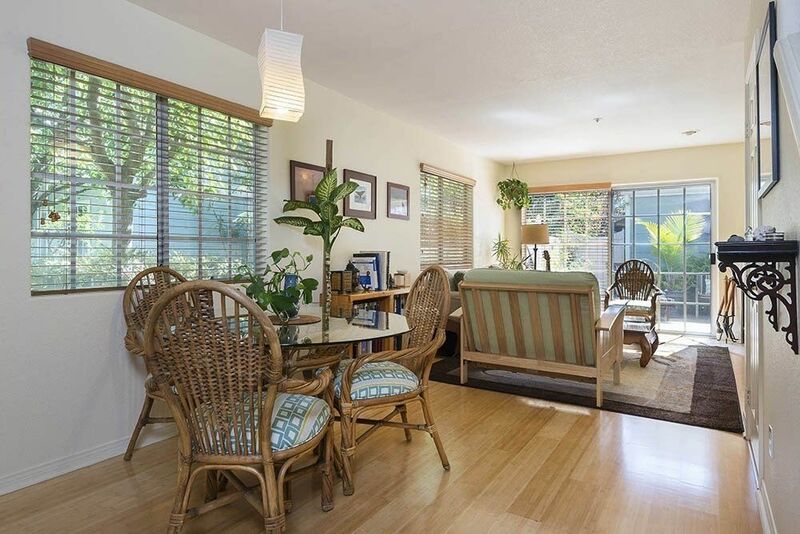 The light & bright corner unit features 2 bedrooms, 2 and a half baths, kitchen with breakfast bar, cozy living room with fireplace, front porch, and welcoming back patio. 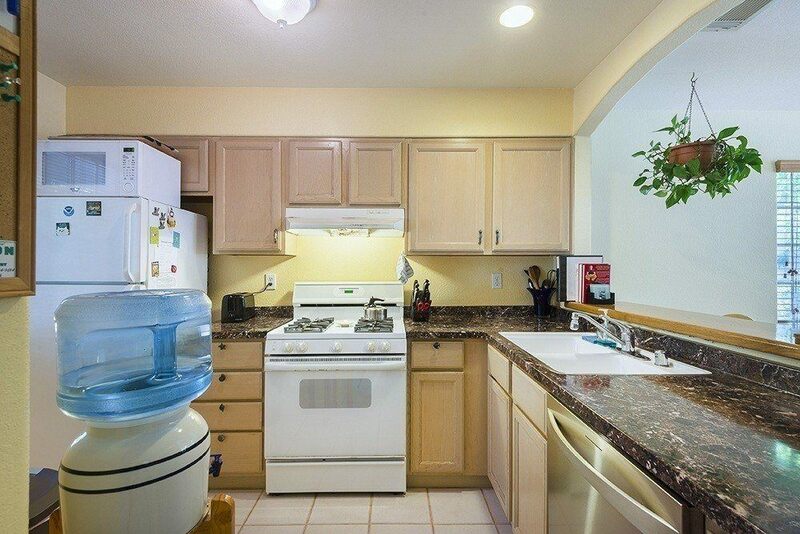 It also includes a 1 car garage, 1 uncovered parking space, and laundry in the unit. 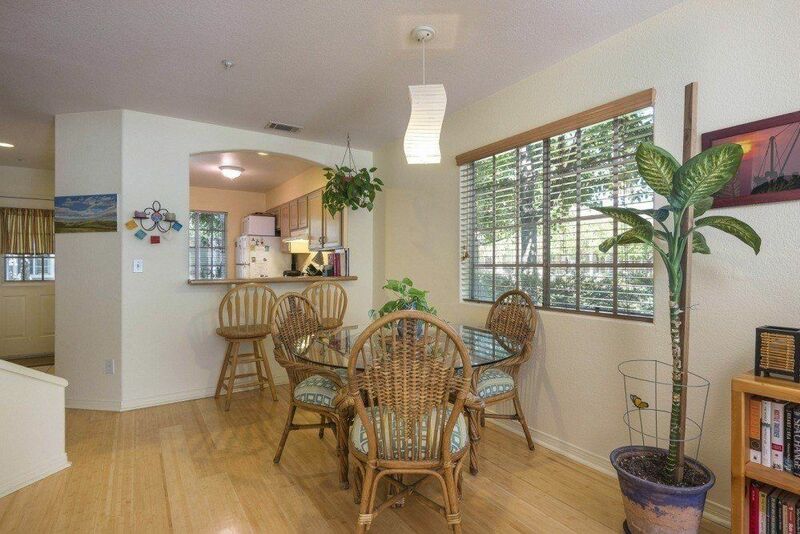 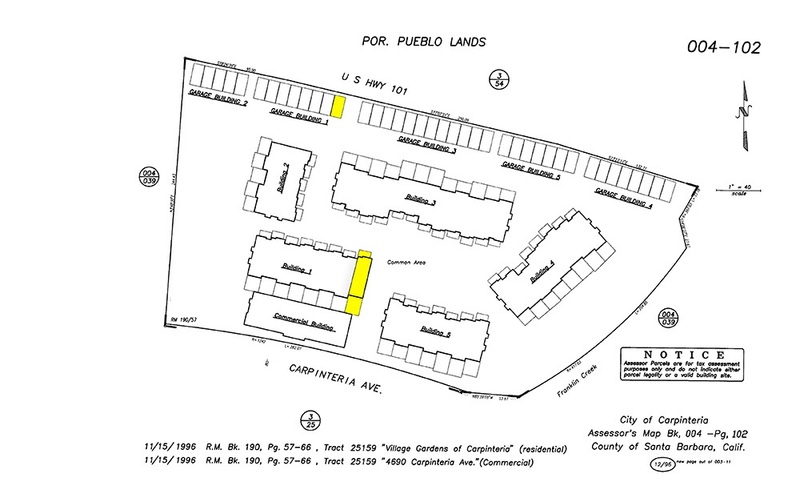 Great rental income history. 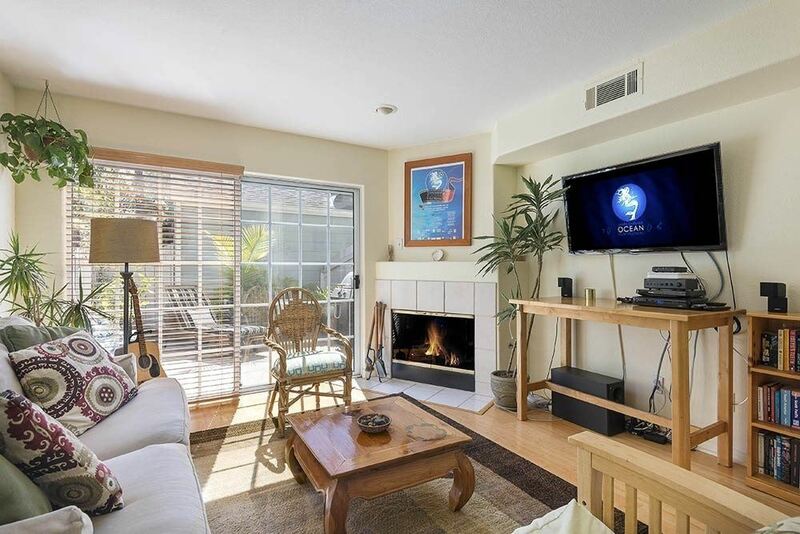 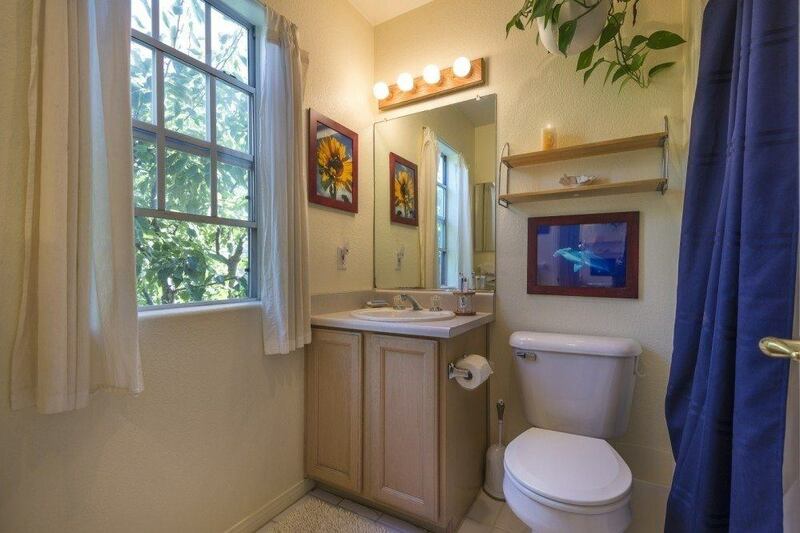 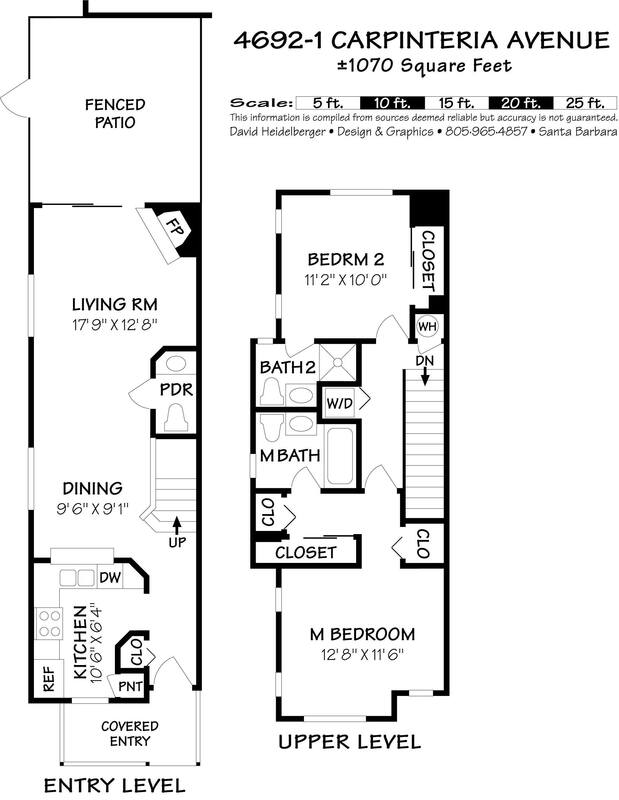 This darling condominium is convenient to downtown Carpinteria restaurants, shops & beaches! 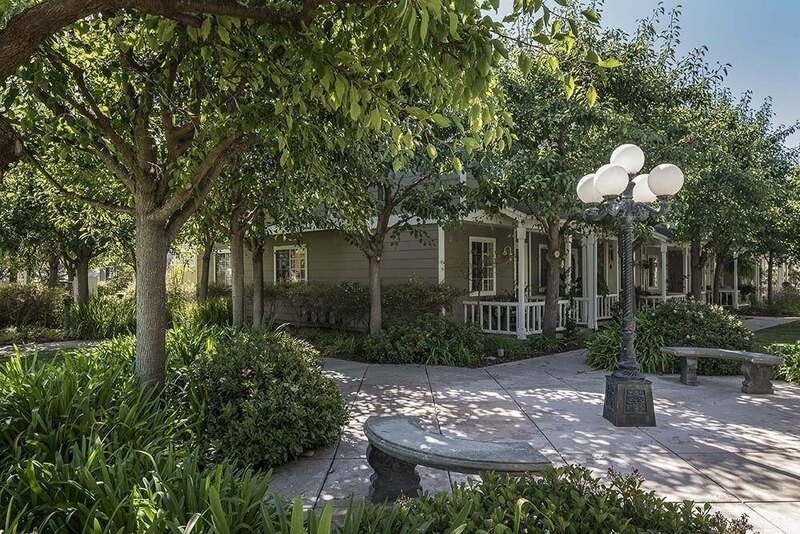 It is being offered at $510,000.